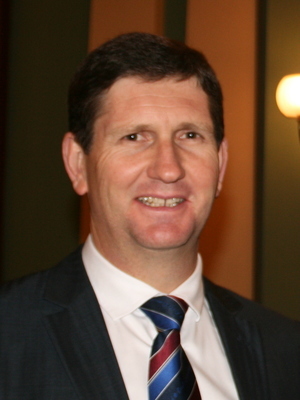 The move for Stanthorpe and the Granite Belt to de-amalgamate from Warwick and the Southern Downs Regional Council has received a huge boost, with former State MP Lawrence Springborg agreeing to chair the Project Steering Committee. Chairman of the Granite Belt Community Association – which is spearheading the campaign – Rev Alan Colyer made the announcement about Mr Springborg in a statement released today, Monday 6 August. “Lawrence’s experience in government and his understanding of legislation is outstanding, together with his knowledge of our region his input will be extremely valuable,” Rev Colyer said. Mr Springborg will join economist Professor Tim Coelli on the steering committee, which is now undertaking the first stages of an overall business case and financial modelling to back up the de-amalgamation drive. “Following on from the highly successful public rally in Stanthorpe and the subsequent tabling of the petition in State Parliament, a delegation from the Granite Belt Community Association travelled to Brisbane to meet with the Local Government Minister’s senior staff and departmental executives,” Rev Colyer said. “This meeting was very productive. “We obtained valuable advice on a number of matters which has helped us map the way forward. “We have also subsequently travelled to Noosa to meet with the Mayor and CEO of the Noosa Council who have successfully set the template several years ago. “This meeting was also very positive and has provided us with many useful tips and resources. Rev Colyer said the steering committee will now focus on raising funds to engage an external consultant to assist with the financial modelling and business case to the satisfaction of all – particularly the Queensland Treasury – which he said will require “sound evidence, very intense analysis and the preparation of a quality submission”. “The total cost of this is expected to be in the vicinity of $80,000, most of those costs being taken up on specialist consultants in the preparation of the proposal,” he said. “We seek financial support for this important endeavour – donations of any size are most welcome and can be provided on a confidential basis if required.